Your online presence will totally make a difference if you got a business mind like me. 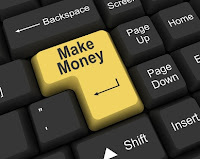 Many Nigerians online make thousands and millions of Naira on the Internet and many of them actually work from home. Question One: "How I can make money online?" Question Two: "How Do I Get Started in Nigeria?" Answer: Get this right...It is not a get rich quick overnight scheme. Be ready to work putting in some time and a little or no investment. First, you need a personal computer with an Internet connection, at this stage you don't need to get discouraged, start with a public cybercafe but plan and save to get one if you can afford one at the moment. Grab a free email account from Gmail if you don't have one as we will use same to setup a blogger account for a blog on google's famous blogging software. Wordpress is also a good alternative to Google blogger for blogging on anything. Question Three: "I have a blog, adsense account and few affiliate programs but I'm making less or no money from them. How do I make money?" Answer: No matter how beautiful a blog or website looks, if it is deficient of web traffic you will not be making consistent income online. Seriously, targeted traffic is the key to unlock multiple sales, converts, signups and wider audience no matter the area of specialization or niche. I simply want to put basic steps but awesome to start getting targeted traffic from today; please make sure you're using Google Webmasters Tool and Bing Webmaster Tools respectively if you're not, for they are sure search engine optimization tools to help you avoid spamming the search engines and still rank high with your chosen keywords towards getting free organic targeted traffic, and most importantly going for paid advertisement on facebook ads, google adwords and bing sponsored advertisement will definitely help for immediate positive results. Blogging - Making money online in Nigeria on blog posts of things you're passionate about or your niche and monetizing them with contextual and image ads from Google Adsense program, Chitika or any other affiliate marketing programs of choice. *Sell ebooks, audios and videos as an affiliate or vendor online. *Sell ads space on your blog of website as your web traffic grows. Blogger and WordPress web blogging softwares are great online platforms to freely start creating blog sites on your passionate interests and niche. Advertise Online - Advertise your products and services online on free classified like google trader and forum sites where permitted and best of all, go for paid advertisement where you don't have to create a hole in your pocket advertising without commensurable results. Facebook advertising, targeted Google adwords, and Bing Sponsored ads covering yahoo sponsored ads listing integrated are worth the investment when done rightly which definitely brings in real bounty sales. Placing ads with any of the famous newspapers online. If you're in Nigeria and you want to reach out to Nigerians online with your products and services, you could give it a try on paid Nairaland forum ads amongst others considering huge targeted traffic. Website Flipping - This is like buying a land, developing it and sell the property for good profits. Buying a domain name and developing the site is another evergreen and booming venture many have little or no knowledge of. Do you know that facebook.com as an online property is worth over US$50 billion, many known sites have been sold for millions or billions of dollars, and top online firms still acquire websites for a fortune to measure up standards. Flippa.com and sedo.com are good flipping websites where anyone can make money online in Nigeria buying and selling websites or domain names for fortune in the dot.com world respectively. Information Marketing - If you can write, you're good to go! Are you a medical doctor, a lawyer, surveyor or any in profession. 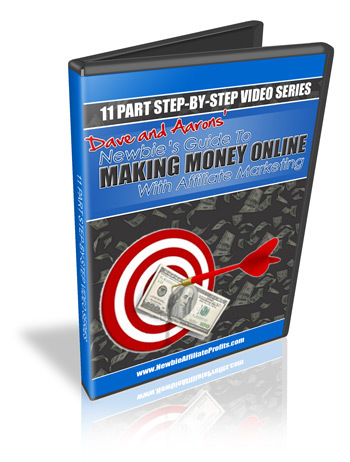 You can simply put down in writing or make videos of your wealth of knowledge and experiences well packaged in an ebook pdf format and sell for profits, as long as it got value and is a solution to many out there then the market is pretty large though there's need to do a little research online and get it on autopilot period! See a valued best selling INFO Products(Video Tutorial) people are buying hot on autopilot: WordPress Unleashed! A Master Resell License WordPress Video tutorial sales webpage I setup up some years ago amongst others. It's quite interesting to professionally package and sell valuable info products (ebooks, audio and videos) of yours, acquired private label or master resell licensed info products. Another sure way to earn authority on chosen online business model. Note: Plan to get a domiciliary account opened with any of the Nigerian banks like GTBank if you don't have any already to enable you cash dollar or euro denominated affiliate commission cheques like Google Adsense, Plimus or the likes of, when they start coming in. Patience is a great virtue you would also need to hold onto. This is very educative and informative.